The El Torrent Duna Linear Suspension curves one long shade in to a sinuous shape that achieves soft and functional lighting ideally suited above dining areas. 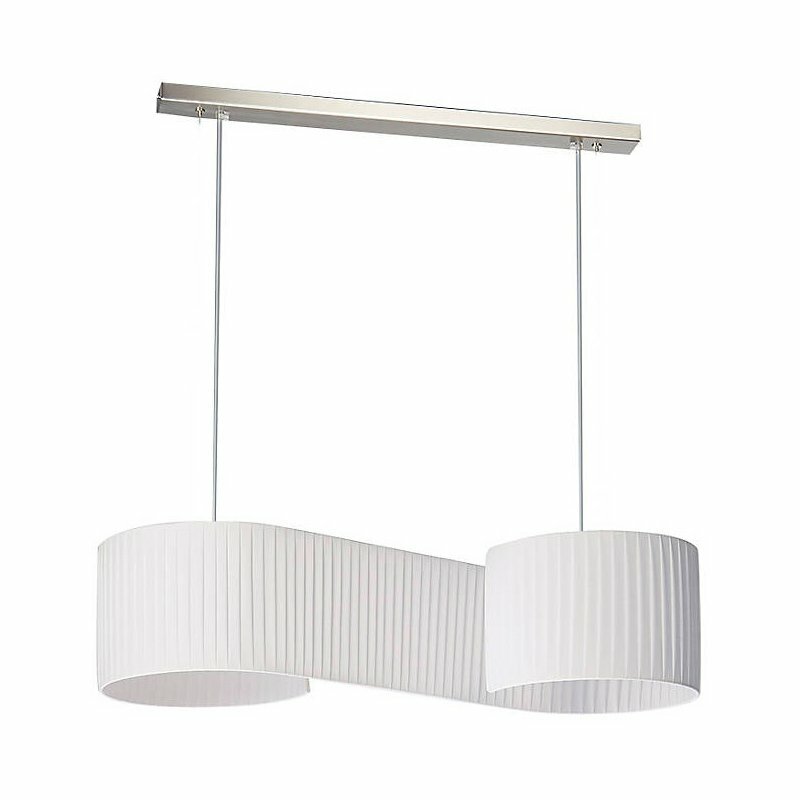 Hand-lined with pleated fabric, the lengthy metal structure loops around the two light sources like open drum shades, successfully shining down light while capturing the colorful ambience of each fabric color. Founded in 1997 by designer Eloy Puig, El Torrent is a high-quality manufacturer of handmade lighting designs in the Girona province of Spain. The production site sits at the base of the Pyrenees Mountains, offering a stunning rural backdrop that is the source of inspiration for the small group of designers. With an emphasis on commercial and residential interiors, the company presents a vibrant catalog of authentic Spanish design in tune with organic shapes and comfortable lighting.